The Old Cape Henry Lighthouse was built in 1792. It started to crack in 1870 and was replaced with the new Cape Henry Lighthouse only 357 feet away, which is an active aid to navigation and operated by the U.S. Coast Guard. The Old Cape Henry Lighthouse is maintained by Preservation Virginia and is a National Historic Landmark, serving as the official symbol for the City of Virginia Beach. Directions: At First Landing State Park turn left into the west gate of Fort Story. Follow the road, which will take you between the two lighthouses. 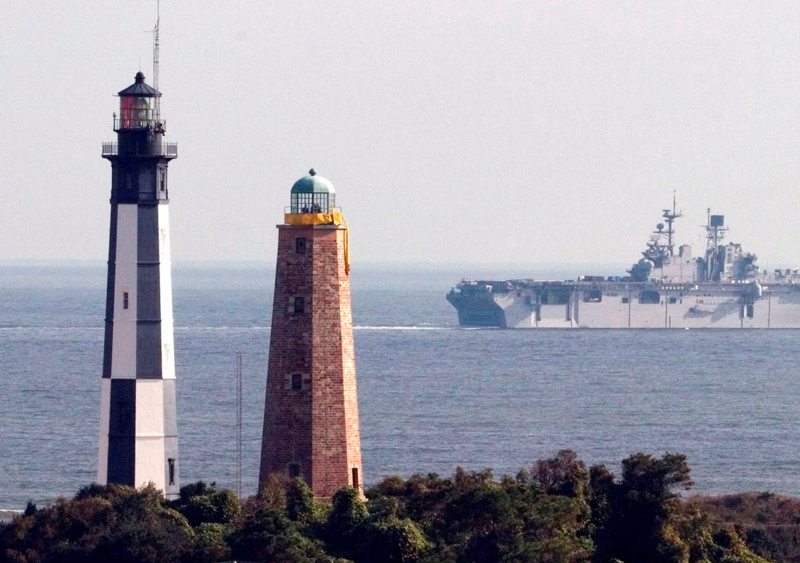 Note to Our Visitors: The Cape Henry Lighthouse is located within Fort Story military base. To visit the lighthouse, you must pass through the security gates of Fort Story. Please have a government issued form of identification for all persons over the age of 18. Must be 42" tall to climb.